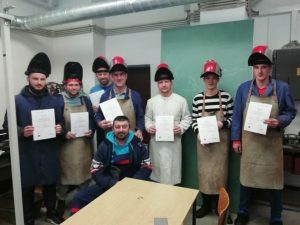 The last training for welders, which was attended by 7 unemployed persons from Prnjavor, was held during January 2019 at the Faculty of Mechanical Engineering in Banja Luka. A total of 22 welders have been trained so far, with about 80% of the participants showing very good results. Training participants are also very satisfied with the opportunity provided as well as the quality of the practical training. We are particularly pleased with the fact that one of the participants got a chance for employment a few days after finishing the training. We hope that other students will have similar experience. It is shown that with good preparation, effort and commitment of organizers, trainers and training participants, excellent training results can be achieved, to the satisfaction of all participants in the process.